Plants are colonized by various microbial communities which make substantial contribution in improving plant health and productivity. 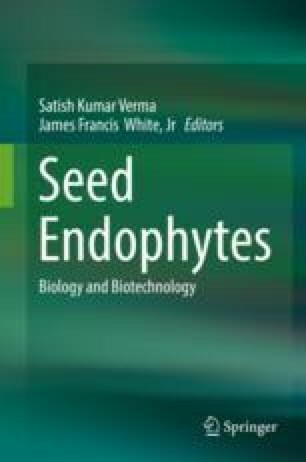 Endophytes are microbial populations that reside in host plants and play vital roles in plant growth and development and are considered as valuable tools in agriculture for improving crop performance. Endophytes promote plant growth through enhancing nitrogen fixation, phytohormone production, and phosphate solubilization and conferring tolerance to abiotic and biotic stresses. Endophytic microbial populations synthesize a vast variety of novel secondary metabolites including compounds with antifungal, antibacterial, and insecticidal properties. Biological control of plant pathogens and insect pests of cultivated crops gained attention as a method of decreasing the use of chemical pesticides in agriculture. The review describes various classes of secondary metabolites synthesized by endophytic microorganism with activity against insect pest and plant pathogens. Additionally, more plant species are to be explored for endophytic diversity and metabolites produced by them. This may lead to new developments in designing bio-based commercial products effective against crop and human pathogens.